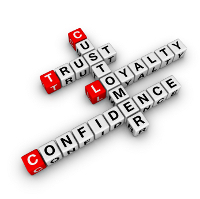 Having loyal customers is the bedrock of any successful business, which is why just about every company or business entity tries to ensure repeat business through all sorts of schemes and programs. There’s a good reason why return customers are so important: they don’t cost anything in terms of marketing, and they are likely to recommend your brand to friends and family, leading to more low cost-of-acquisition customers. For Ecommerce retailers, customer and brand loyalty are even more important; after all, the cost of attracting new customers is clear cut and plain for you to see. While your customers may not have a store to walk in, or a physical person to talk to, they have one single physical connection to you: the order they receive. For that reason, it is imperative that your link to your customer be as perfect as it possibly can be. This means impeccable packaging, undamaged and as-advertised products, lightning-fast delivery, and should anything happen, quick tracking and efficient customer service. Outsourcing your ecommerce fulfillment operation lets you concentrate on finding new customers, in the knowledge that the ones you have are expertly catered to by knowledgeable order fulfillment professionals, who care about them and their ultimate satisfaction at least as much you do. Your outsourced order fulfillment operation will increase customer satisfaction and loyalty, and thus repeat business, while saving you money over what your own, in-house order fulfillment department would cost. To get started, click the red ‘Get Quotes’ button, and fill our simple Quick-Start Quote Request form!